We all want to be better. Better parents, better cooks, better at maths, better at being on time. There’s always something we want to be better at. Since you’ve found this blog, you’d probably like to be better at writing. One way to achieve this is to do a degree in creative writing. Or you could buy yourself some top class coaching or mentoring. You could even splash out on an intensive residential writing course. The only problem with all that is that money doesn’t grow on trees. A lot of us don’t have three to five thousand pounds lying around for that kind of teaching. 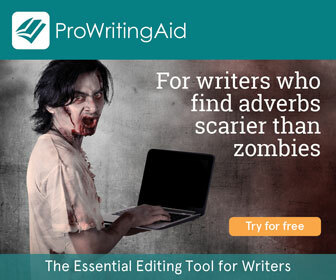 Well the good news is that you don’t need a lot of money to improve your writing. If you have an internet connection, a library, a lot of dedication, and a few friends who write, you can achieve most of the same results. The first part of improving your writing is improving your understanding of how the English language works. That means grammar, spelling and punctuation. All the rules that bored you silly at school are going to be really important now you’re a writer. You don’t have to actually follow all those rules of course. They are there to be broken. But if you don’t know them inside out you won’t know how to break them, what effect you’re trying to achieve by breaking them, or even whether or not you are breaking them. So how do you improve your grammar and punctuation if you can’t afford an English tutor? You can start at your local library. They will have a range of books about these topics. GCSE spelling and grammar revision guides, dictionaries, grammar for grown-ups and many more. Check them out. If your library is a long way away, or you simply prefer working online then there are lots of websites dedicated to grammar. BBC Bitesize is a great place to start! Perfect English is another one I’d recommend. Make sure you use a reputable website. After all, anyone can put content online and it’s not guaranteed to be correct! How about if you’ve got some money to spend but not a large amount? I love the book ‘Is their alot wrong with this centence?’. It’s available on Amazon for the princely sum of one penny (plus postage). I use this book with all my English students from KS3 to A level and beyond. You’ll learn things you never could have imagined existed in the first place. If there’s one book on grammar a writer really needs it’s this one. What about stories and poems? Grammar and spelling are all very well, but what we really want is to get better at plot development, character creation, picking the right words for a poem, world building and all the other components of creative writing, right? Well don’t worry, you can do that for free as well—at least to a certain extent. Your library is your friend here too. My local library has a total of eight books on creative writing; (I counted) three on short stories, one on writing a novel, one about dialogue, two about poetry, and one about screen writing. Now obviously this isn’t a large selection but it’s definitely a good start. There’s enough material there to keep you going with exercises and improvements for a few months. They’re pretty good books too. You can also read blogs and magazine websites, listen to podcasts and check out Kindle freebies. If there’s a particular subject you’re interested in, a Google search will bring up hundreds of websites. I use Google all the time if I want to find out about something specific. However, if you have reached the stage where you know you want to write but you’re struggling with the basic mechanics of putting together a successful story or poem, you might have reached the stage where a small investment is necessary. The good news is this really does only need to be a small investment. My writing career began in earnest when I bought a course on writing for children for £14.99 with a Wowcher code. There are many such offers out there, and online courses can be very useful. I have also been helped immensely by such simple things as a subscription to a writing magazine. There are lots of them out there. I personally subscribe to Writing Magazine and Writers’ Forum Magazine. There is no substitute for an actual face-to-face writing course where you can ask questions and get tailored advice from an expert. These range from the ridiculously expensive to the very cheap. If you’re lucky enough to live within striking distance of Nottingham (UK, not USA!) then it’s always worth seeing what’s going on at the Nottingham Writers’ Studio. You’ll find a range of affordable courses with some great tutors (including me!). Members get big discounts on courses too. It’s only £6.99 a month (£4.99 if you’re a student) and you get access to loads of resources. I easily make back three or four times my monthly subscription on course discounts alone. If you’re not close by then try places such as your local library, U3A events, and your local book, poetry, and literature festivals. Often they have heavily subsidised courses with well-known authors and poets. Where can I get feedback? There’s no denying that feedback on work you’ve written is essential to your progress as a writer. We can only get so far by looking at our own work and comparing it to what we know about writing. A fresh pair of eyes on your work will see things you hadn’t thought of, as well as lots of things you HAD thought of and just hadn’t noticed. Your family and friends are unlikely to be much use unless they are writers too (or are my sister who has the rare gift of being willing to say something’s rubbish and not worry about upsetting me). For those with endless money you can hire editors, pay for critiques, and take courses with critiques included. The rest of us have to be a bit more creative. Writing groups are the obvious place to start. Some are free; some have a small monthly fee. Some are very small; others are massive organisations with multiple smaller critique groups happening every month. All of them can be helpful. It is important to find the right group for you. That will be one that meets at a convenient time, has a mix of other members that write in your genre and those writing in different genres, has the right atmosphere, and gives the right level of critique. If there isn’t one you like locally then you can always find one on Facebook, or on a dedicated writing site, or set one up yourself. A call out on Facebook or in the local newspaper often turns up several writers looking for critique partners. Posting for online feedback can be daunting but there are many places to do it. Lots of Facebook groups allow extracts or even full pieces to be posted for critique. I’m in several. I use them very rarely as I’m lucky enough to have built a community of writer friends I can ask to read and review through my involvement with the Nottingham Writers’ Studio. Some people use them a lot! There are lots of other websites where writers post pieces for critique. As I don’t use them I’m not familiar enough with them to recommend which are worth using; there’s bound to be someone in one of those Facebook groups that has used ALL of them though! Just ask. If you’re submitting pieces for publication you may eventually get lucky and get some feedback from an editor. Some competitions will also provide feedback for a modest extra entry fee. My best feedback came from one-to-ones with agents at conferences. These conferences are often not cheap, but they come in far less costly than a few weeks of professional coaching so are usually well worth the money—especially if you get a one-to-one with an agent. Start getting feedback that’s not from your mum! Sarah Hindmarsh is a private tutor by trade, and a writer in most of her spare time. She has self-published the award-winning Animal Adventures series for six-to-nine-year-olds and the ever-popular 1001 Writing Prompts series. She also has a growing collection of short stories and poetry published in various literary journals, magazines, and anthologies. In her remaining spare time she walks her miniature poodle, Kohla, and competes in showjumping and dressage (with significantly more success in the showjumping) on her horse, Callie. Sarah can be found on Facebook and Twitter.